So, you have a saltwater pool. Maybe you have a freshwater pool and are thinking of switching to saltwater pool care. Congratulations! 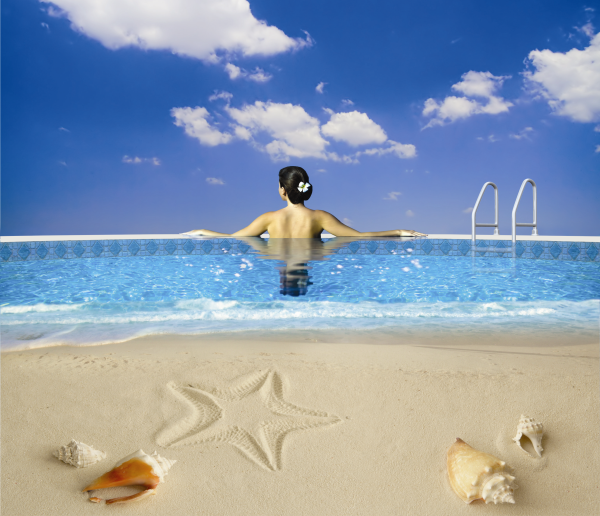 Saltwater is one of the best ways to take care of your swimming pool! When saltwater pools are good, they are very, very good. When saltwater pools go bad it gets frustrating. If you are having saltwater pool problems, don’t get discouraged! You are at the right place. The key to a happy saline pool is monthly water testing with your pool professional. Analysis is typically free and is done so that you can work less, spend less and enjoy your pool more. Keep your saltwater pool happy and prevent problems before they start. In your monthly check up, the water balance of the pool with is looked at with a critical eye. Saltwater pool care needs a good foundation in excellent water balance so that the saline system can function properly and efficiently. Why did you choose/are you installing a salt pool? What are your expectations for future chemical consumption, care of the actual salt pool equipment and longevity of the pool in general? What are the things about your pool you would like to change? What are the things about your pool that you would like to not change? How long do you expect your salt generator to last? Don’t wait for your salt water ship to come in…go swim out to it!